As Congressional leaders and President Obama continue to work on a plan to avert the fiscal cliff, I remain committed to a solution that protects as many families and small businesses in Texas as possible from seeing an automatic tax increase on January 1. Additionally, I believe it is imperative that we take serious steps towards reducing our nation’s unsustainable spending and address the long-term drivers of our debt. Over the past several months, House Republicans have passed legislation to avoid the fiscal cliff which I have outlined below. We voted to extend the current tax rates for all Americans, and approved a plan to replace the harmful sequester –which would threaten national security and cause massive layoffs – with common sense spending cuts and reforms. The Sequester Replacement Reconciliation Act of 2012 (H.R. 5652) provides alternative mandatory spending reductions in order to replace the devastating cuts set to take effect in 2013. The savings contained in this legislation were produced by six House committees under reconciliation instructions contained in the House Concurrent Budget Resolution (H.Con.Res. 112). This legislation was passed in May 2012. The Job Protection and Recession Prevention Act of 2012 (H.R. 8) extends all current tax rates for every American through 2013. This legislation was passed in August 2012. 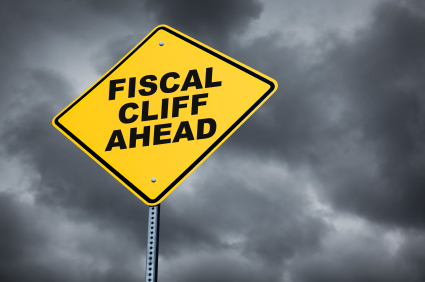 It is my hope that the Senate will join House Republicans in passing these responsible bills to avert the fiscal cliff. I stand ready to work with my all of my colleagues to pass legislation that will grow our economy, create an environment ripe for job creation and put our country back on a path to fiscal prosperity. This is absolutely ridiculous. Republicans need to let go of trying to protect the wealthy. Are they getting a kickback? Every one of them should be ashamed of themselves. There have been so many cuts and still they want more cuts instead of giving in to the rich paying in little more. Not one of them have any idea what it is to care for a child with disabilities or to be on a fixed income with no hopes of working overtime or getting a promotion. There is obviously a disconnect in what the 98% of the population real needs are. Most Americans are living from paycheck to paycheck and the deficit was already there before Obama was elected. I did not expect the budget to get balanced in one term. Clinton did balance the budget, but it too two terms. I believe that Obama can do it, but all of the congress needs to be repremended or fired!